“Wolf House” is a Found Footage horror/comedy film written by Ken Cosentino and Elizabeth Houlihan and directed by Matt D. Lord. With a budget of only $5,000 and a runtime of 70 minutes, “Wolf House” pulls off a near flawless found footage style execution, doesn’t take itself too seriously, has tons of fun, and most importantly, has lots and lots of monsters! “Wolf House” opens with a mockumentary style dialog, “Three years ago, I didn’t believe in monsters. They were just stories. Make-believe to scare kids. . . Watch the tapes. Decide for yourself.” This introduction sets the stage for the rest of the film. The action starts with our protagonists, a group of six friends who go on a five day camping trip at a cabin in upstate New York. With two camcorders in tow, the group films pretty much everything during their stay, including the drive up, rock climbing, hunting, and hiking in the woods. This preliminary footage does a great job at establishing each of the characters and their respective relationships. In fact, I would go so far as to say that “Wolf House” is primarily a character driven work, which is a welcome departure from the typical situation-driven found footage horror film. “Wolf House” is primarily a character driven work, which is a welcome departure from the typical situation-driven found footage horror film. During the first night at the cabin, the group is woken from their sleep by a loud crash outside. Joey (Ken Cosentino) and Donna (Elizabeth Houlihan) are the first to investigate, finding several freshly mutilated animal corpses on the front porch of the cabin. The following morning the group discovers a trail of large footprints in the mud leading back into the forest. At this point, the group express concern as the foot prints were made by a very large animal unlike anything they’ve seen before. From here, the pace of the story picks up as our newly developed characters are forced to cope with the horrors that befall them. The found footage cinematography in “Wolf House” is nearly flawless, adding subtle nuances not usually seen in found footage films with a much larger budget. For example, there’s a particular scene in the forest where Ken Cosentino’s character (Joey) places his camera on the ground while he stops to tie his shoe. This scene may seem trivial, but it captures a unique POV, and more importantly, this is something I can see myself doing if placed in a similar circumstance. It’s the attention to detail that adds plausibility to a found footage film, and this is where “Wolf House” shines. The found footage cinematography in “Wolf House” is nearly flawless, adding subtle nuances not usually seen in found footage films with a substantially larger budget. The scene transitions are abrupt as one would expect from raw video, yet the footage from the two source cameras is seamlessly stitched together to present a coherent story without seeming the least bit choreographed. “Wolf House” even includes brief snippets of footage lasting only a second or two where it looks like the camera was accidentally turned on/off, capturing the way people “actually” use a video camera. 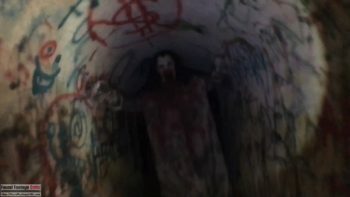 All too often, found footage films come across as choreographed scenes that are made to look like found footage in post production – as far as found footage cinematography is concerned, “Wolf House” gets it right. “Wolf House” employs another cinematic technique I don’t recall seeing in prior found footage films. As mentioned earlier, all of the action is filmed on two cameras held by two of the on-screen protagonists. At one point in the film, one of the cameras is left recording (presumably by accident) in the basement, and “Wolf House” employs a split screen to show the action captured from both cameras concurrently. We’ve seen split screens with surveillance footage and webcam interactions in other found footage films, but never with two live camcorders. This approach offers the benefits of surveillance type footage without actually using a surveillance camera. As a final note, the lack of incidental music during the film also lends credence towards the authenticity of the footage, further enhancing the viewing experience. 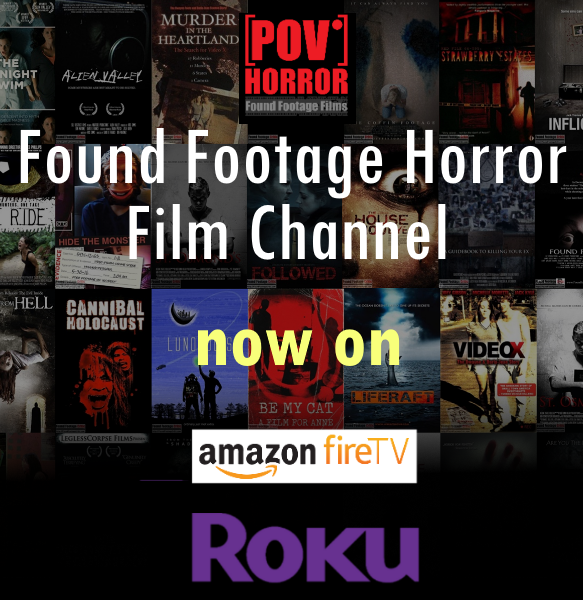 Found footage film fans often look at the filming reason as a critical component to found footage plausibility. “Wolf House” employs many filming reasons for different circumstances, covering the film from beginning to end. The opening scene in “Wolf House” is a mockumentary style interview setting the stage for the remainder of the film. Most of the character development is captured during the normal filming that one would expect to take place during a vacation. Following the preliminary character development scenes, the group elect to continue recording to capture proof of what they’ve experienced, again, a fully plausible reason. Finally, in several scenes the camera night vision is used as a light source to see. In one particular scene, one of the cameras is left recording on the kitchen counter (presumably by accident) – this filming approach is brilliant, as the stationary camera provides a POV to capture necessary footage without using an off-stage camera source or placing one of the characters in the room to record. “Wolf House” employs many unique techniques of a similar vein to collect additional footage in a plausible way. The practical special effects used in “Wolf House” give the film a nostalgic look that’s reminiscent of a monster flick from the 1980s. Given the $5,000 budget, it’s understandable that most of the practical effects are kept in the shadows and have an on-screen presence of a few fleeting seconds – however, when it comes to found footage films, showing less is more. Ken Cosentino went through a painstakingly laborious process to build the werewolf in “Wolf House,” as he describes in an audio interview where he discusses the back-end production (Ken Cosentino Interview – Wolf House – FoundFootageFiles.org Podcast). The second contingent of monsters that appear later in the film (and there are plenty) are far less elaborate, but the sheer quantity and variety along with the protagonists’ over dramatized reactions makes the film absurdly fun to watch. The acting in “Wolf House” although good is a bit uneven, most likely a victim of the severely limited budget. In this case, the acting as it stands actually enhances the nostalgic feel of the film. When all of the pieces that make up “Wolf House” come together, the result is a film that is highly entertaining. While “Wolf House” has tense moments, the film doesn’t strive for jump scares, but rather plays off the anticipation (and often humor) of watching the protagonists react to the craziness of the situation they’re put in – to this end the film highly successful. “Wolf House” is a work of masterfully executed found footage cinematography, with a unique story, great character development, and well placed humor. Tagline:Six People. One House. Lots of monsters. Poor excuse (although funny) as to why the characters were unable to get the police to come to their house! “Wolf House” is an entertaining character driven film that places the protagonists in an absurdly impossible situation that they have no idea how to cope with. 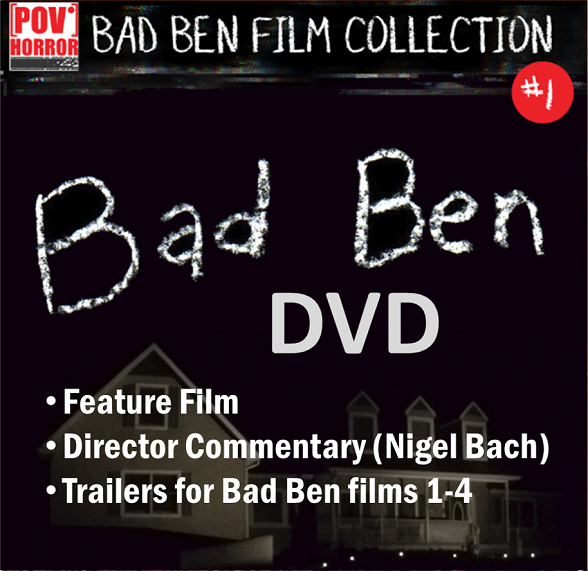 The film employs humor, over-the-top dramatics, and a campy atmosphere to create a unique look and feel that’s very different from every other found footage film out there. What the film lacks in refined acting and big budget visual effects is more than made up for in cinematography, plot, character development, and a nostalgic approach. “Wolf House” is a fun movie and a must see for every found footage film fan.